HP is well-known for its selection of business computers. HP makes everything from portable notebooks like the Envy 13 to powerful mobile workstations like the ZBook series, however, another type of notebooks have gained popularity recently. We are talking about the Omen gaming series that has been proven over the last few years as a reliable gaming solution. Today we will take a look at the latest iteration of the series – the HP Omen 15 2018. Equipped with the new 8th gen Intel processors and up to a GTX 1070 Max-Q, the Omen 15 pumps some serious horsepower. Maybe the 144Hz display can set it apart from the competition or maybe it will win our hearts with its performance. Let’s find out. Inside the box, you can find the notebook itself and its 200W power brick. Like any other respectful gaming notebook, the HP Omen 15 catches the eye with its aggressive design. It has too big vents on the back and the majority of ports are located between them but we will talk about them in a minute. What leaves an impression, at first sight, is the back lid. It is made of brushed aluminum with patterned plastic pieces for decoration. The Omen logo is clearly standing out. The only thing that we mind is that the lid experiences a lot of flex when pressured, however, no ripples show on the display. Opening the lid reveals the 15.6-inch 144Hz screen (more on that in the Display quality thread) and its extremely narrow bezels which makes it pleasant to look at. We get more of that brushed aluminum around the keyboard and at the palm rest area. Speaking of the keyboard, we get a pretty basic one which isn’t bad by any means. The island-style keys are well spaced and have a clicky feedback. There are no macro keys, the only additional key is the Omen key above the Num Pad which launches the Omen Command center where you can customize your device and monitor its vitals. Our configuration has two levels of backlight – bright red all over or just on the WASD keys. Other configurations come with four lighting zones. The only thing that we are not fond of is the arrow keys which could have been larger. The touchpad has a matte finish which makes gliding your fingers smooth. It’s accurate and responsive. There are two physical buttons too. The touchpad is rather small but then again who would game with a touchpad. The back side of the notebook has two large vents to keep sufficient air flow to the fans. There are complimented by another Omen logo and a pattern. The back is also home to the two Bang&Olufsen speakers. As far as dimensions go, the Omen 15 is just about average. It’s not too thick or too heavy for a gaming notebook, however, some competitors like the MSI GS65 Stealth Thin 8RX show us that a gaming notebook can be quite portable too. Nonetheless, the HP Omen 15 gives the impression of a really compact notebook – maybe due to the narrow screen bezels. HP Omen 15 2018 is packed with lots of ports the majority of which are located at the back of the notebook which leaves the left and right-hand sides clean. Let’s take a look at what it offers starting from left to right. On the left-hand side, you get a single USB 3.0 port, a DTS Headphone:X combo jack, another 3.5 mm microphone jack, and a multifunctional card reader. The back of the device is home to a lot of input and output ports. There you can find a USB Type-C port that supports Thunderbolt 3, a Mini DisplayPort, an HDMI 2.0, a USB 3.0 port (second for now), Ethernet port, and a security lock. On the right-hand side, you can find another USB 3.0 port and the DC power connector with an indicating LED. Opening the HP Omen 15 2018 requires removing two Philips 2.5×10 screws and another six Philips 2.5×4 screws. Under the hood, you can see two big fans and the pipes between them. There is a lot of isolation and heat sinks too. The two RAM slots and the M.2 Wi-Fi card are covered by isolation tape. For storage options, you get a single M.2 slot that supports PCIe NVMe 3.0 x4 SSDs and even 16GB Optane drives (PCIe 3.0 x2). You also have a SATA slot for 2.5-inch HDDs or SSDs. Our unit came with a 70 Wh battery with a model number SR04XL. HP Omen 15’s (2018) display features a Full HD IPS panel with a model number B156HAN08.2 (AUO82ED) manufactured by AUO. It’s 15.6 inches in diagonal (39.62 cm) with a resolution of 1920 x 1080. The screen ratio is 16:9 while the pixel density is 142 ppi and the pixel pitch is 0.18 х 0.18 mm. The display becomes Retina when viewed from a distance greater than 23.6 inches (60 cm) (from this distance the human eye can’t see the individual pixels). The HP Omen 15 delivers comfortable viewing angles. We offer images at 45° to evaluate image quality. The maximum brightness we measured is high – 335 nits (cd/m2) in the center of the screen and 315 nits (cd/m2) average across the whole surface with a maximum deviation of 7%. The Correlated Color Temperature on a white screen is 7430K average – slightly colder than the 6500K standard for sRGB. The average color temperature through the grey scale before profiling is 7200K. In the illustration below you can see how the display performs from uniformity perspective. In other words the leakage of light from the light source. The illustration below shows how matters are for operational brightness levels (approximately 140 nits) – in this particular case at 72% Brightness (White level = 140 cd/m2, Black level = 0.11 cd/m2). Values of dE2000 over 4.0 should not occur, and this parameter is one of the first you should check if you intend to use the laptop for color sensitive work (a maximum tolerance of 2.0 ). The contrast ratio is good – 1260:1 (1100:1 after profiling). The yellow dotted line shows HP Omen 15’s (2018) color gamut coverage. Its display covers 95% of the sRGB/ITU-R BT.709 (web/HDTV standard) in CIE1976. Below you can compare the scores HP Omen 15 2018 with the default settings (left), and with the “Gaming and Web design” profile (right). We recorded Fall Time + Rise Time = 9 ms. This panel is one of the fastest we have ever tested. 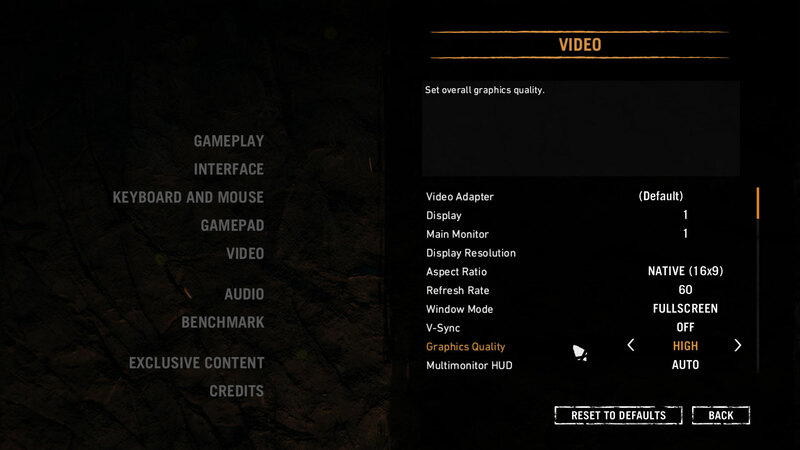 It also has a refresh rate of 144Hz and G-Sync support for smooth gameplay. HP Omen 15’s (2018) display is not modulated for all brightness levels which makes the notebook suitable for prolonged use without causing unwanted effects. HP Omen 15 (2018) features a Full HD display that provides comfortable viewing angles, high maximum brightness, and good contrast ratio. It also has a wide color range and lacks PWM. In terms of response times, it’s one of the fastest on the market which is desired by gamers. Since our profiles are tailored for each individual display model, this article and its respective profile package are meant for HP Omen 15 (2018) configurations with 15.6″ AUO B156HAN08.2 (AUO82ED) (FHD, 1920 × 1080) IPS. HP Omen 15’s (2018) Bang&Olufsen speakers deliver rich sound with crisp and clear low, mid, and high frequencies. The DTS Headphone:X enabled jack lets you experience emulated immersive 3D surround sound via headphones. HP Omen 15 comes with the OMEN Command Center which can be quick-launched via the OMEN key above the num pad. Inside the center, you can monitor your notebook’s vitals, use the Network Booster with which you can limit the bandwidth for certain apps and focus others, customize the RGB keyboard (if your model has it), and choose between two performance presets. You can also stream your games across other Omen devices. Our unit was equipped with the larger 70 Wh battery that should provide good battery life. Unfortunately, we barely got more than three hours in our test. We are positive that this must be an unsolved problem in the sample unit that we have and it would be resolved in the final version. The model of the battery is SR04XL. Our configuration of the HP Omen 15 came with a 256 GB PCIe NVMe 3.0 x4 SSD by Samsung with a model number MZVLW256HEHP-00H1 and an additional 2 TB Toshiba MQ04ABD200 HDD. We offer you benchmarks for the SSD. The HP Omen 15 2018 is powered by the Intel Core i7-8750H. That’s the mainstream processor for gamers and users that demand high performance. Below you can check out how the notebook stacks against others equipped with this CPU. It’s optional to get the more modest Core i5-8300H too. Here you can see an approximate comparison between the CPUs that can be found in the HP Omen 15 2018 (15-dc0000) models on the market. This way you can decide for yourself which HP Omen 15 2018 (15-dc0000) model is the best bang for your buck. As for the GPU, you can opt for the NVIDIA GeForce GTX 1050 or go as high as the GTX 1070 Max-Q. Our configuration is the top-end with the GTX 1070 Max-Q under the hood. Here you can see an approximate comparison between the GPUs that can be found in the HP Omen 15 2018 (15-dc0000) models on the market. This way you can decide for yourself which HP Omen 15 2018 (15-dc0000) model is the best bang for your buck. The NVIDIA GeForce GTX 1070 Max-Q is more than capable of running every game you throw at it even when you crank up the graphics settings. It struggles a bit to keep around 60 fps on maxed settings but when you turn them down just a bit everything is fine. The tests were conducted using the GeForce driver version 388.98. We have a new way of torturing laptops, and for gaming machines, it comprises of 100% CPU load plus real gameplay test (Rise of the Tomb Raider). As you can see from the chart above, the HP Omen 15 manages to keep the core clock steady. The values you see are the average of all the six cores, however, a few of them reached above 3.0 GHz at times. We typically see one pattern in our stress tests – the frequency drops over time as well as the temperature. This is not the case with the HP Omen 15. Here the frequency remains fairly constant but the temperature gradually rises. Nonetheless, it doesn’t exceed 90 °C so everything is in the norm. The test here is longer. The GPU is engaged at its max performance, trying to process as many frames per second as possible. The GTX 1070 Max-Q boost core clock starts from 1265 MHz. Under heavy load, the cooling system is capable to support it even after half an hour with just about average temperatures. After continuous gaming sessions, the surface temperatures can become high. The hottest area can reach above 60°C, however, this area is in the center of the keyboard around the I, J, K, L keys. Nonetheless, the palm rest areas and W, A, S, D keys remain cool which makes gaming comfortable. There is no doubt that one of the best features of the HP Omen 15 2018 is one of its display options that our configuration has. We are talking about the fast 144 Hz panel with NVIDIA G-Sync support. This panel is available even for lower-end configurations with a Core i5 and GTX 1050 although without the G-Sync functionality. Apart from the high refresh rate, this panel also has a response time of just 9 ms making it one of the fastest we have tested and a bargain for gamers. Also with the lack of PWM and 95% sRGB coverage, the display is even suitable for color-accurate work and the ultra-narrow bezels make it pleasant to look at and give the notebook a compact feel. As to performance, the HP Omen 15 handles benchmarks and games just as intended for its hardware. One of the issues we had is the low battery life which we suppose it’s due to the fact we have a sample unit in our labs. There isn’t much room for upgrades because all the slots are taken. However, the M.2 slot supports Optane drives too. The ASUS ROG GL504 is a good alternative to the HP Omen 15. You can check its in-depth review over here. What is the srgb coverage of the 4k panel? HP claims to be 72% NTSC which is roughly equivalent to 100% sRGB. We haven’t test it and we can’t confirm that. what if your GPU is gtx 1060 with 144hz panel? will it be the same sRGB and brightness like yours? The GPU does not make any difference. In your case, if the panel is the same then the brightness and sRGB coverage will be too. Our model has a 144Hz panel AUO B156HAN08.2 (AUO82ED). Any comments on the noise levels? Apparently a new BIOS changes the fan sound profile. Although I suppose the 1060 version would also drop the noise levels significantly. The battery life is poor because the model reviewed has G-Sync. G-Sync cannot be used together with Optimus, thus the Intel HD graphics is disabled and using the Nvidia GPU full time. So it is unlikely there is anything wrong with your sample unit. Models without G-Sync panels should fare much better with battery life. How does this compare exactly to the Lenovo Legion and the HP Pavilion 15 2018? And maybe some more details in the comparison to the ASUS ROG? la gtx est elle personnalisable? 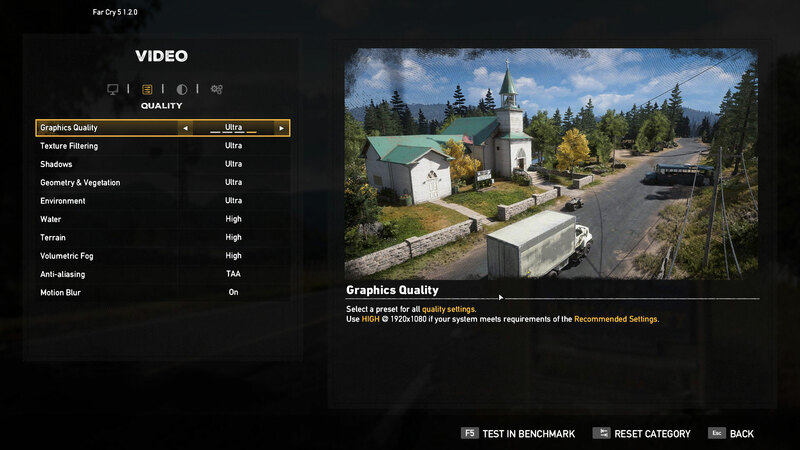 How about gaming in battery power with ultra settings or very high settings and what is the fps? Its really true?? is that version (1070Qmax) lid really made of alluminium? is not it plastic? I saw in the shop lower version with plastic lid.. The palm rest is aluminum while the lid is plastic. Would it be possible to know the percentage of the AdobeRGB coverage too? Thanks! Does the 1060 version of this laptop comes with the same panel model? I know i can buy with 144hz but if it the same model this makes the perfect laptop to do my design work and game. Thanks.